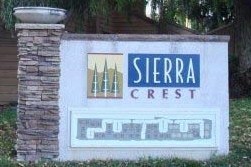 There are currently 19 Sierra Crest condos for sale in San Jose CA. “Sale pending” means the seller has accepted an offer but the transaction has not closed yet, and could possibly go back on the market if the buyer backs out due to financing, property condition, bank does not approve the short sale, or other issues. *Above data obtained from MLS Listings. Sierra Crest was originally built in 1988. It consists of 19 buildings with a total of 332 units. This complex is in a prime location, close to 280 and 17/880 freeways, shopping and restaurants (Santana Row and Westfield Valley Fair Mall) and hospitals (O’Connor Hospital and Santa Clara Valley Medical Center).